Among the many different file systems that Fedora supports is the Network File System (NFS). It allows a system to share directories and files with others over a network. 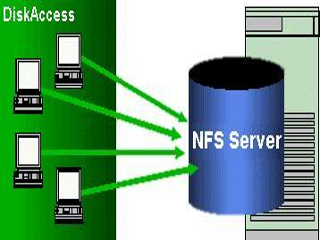 By using NFS, users and programs can access files on remote systems almost as if they were local files. Local workstations use less disk space because commonly used data can be stored on a single machine and still remain accessible to others over the network. There is no need for users to have separate home directories on every network machine. Home directories could be set up on the NFS server and made available throughout the network. Storage devices such as floppy disks, CDROM drives, and Zip® drives can be used by other machines on the network. This may reduce the number of removable media drives throughout the network.